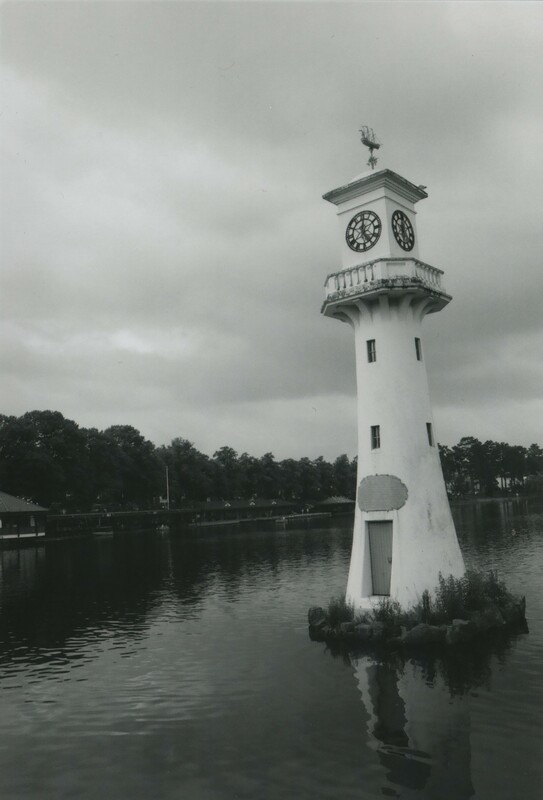 Taken With my Nikon FM and 28mm lens on Ilford FP4 ISO 125 film, this is the lighthouse that stands in the lake at Roath Park in Cardiff, Wales. The lighthouse has a plaque on it commemorating Scott’s expedition to the South Pole. I took a similar shot on a digital SLR and I have to say I prefer this version, the reflection in the glass like water, the overcast sky adding gloom and just the general feel of the image I think works much better in monochrome and film than could be achieved in colour. I have this image in a frame on my desk.